The euro today rallied higher against the weaker US dollar boosted by bearish investor sentiment towards the world’s reserve currency. The EUR/USD currency pair rallied higher as markets reacted to falling US Treasury yields amid doubts about the trade ceasefire between the US and China. The EUR/USD currency pair today rallied from an opening low of 1.1348 to a high of 1.1419 in the mid-European session before retracing some of its gains. The currency pair’s initial rally was largely triggered by the selling pressure on the greenback amid, which was plagued by doubts regarding the recent trade truce. The massive drop in US treasury yields, which resulted in the 2-year and 10-year yield spread reaching an 11-year low, also boosted the pair’s rally. Despite the fact that yesterday’s US ISM manufacturing PMI recorded a slight improvement, the ISM Price index fell, which indicated a lower inflation rate in October. The lower inflation rate could have been responsible for the lower yields. The currency pair was also boosted by the positive developments in the Italian budget standoff where the Italian Prime Minister Giuseppe Conte is expected to present a revised budget to the European Commission. The pair was further boosted by the European Court of Justice ruling that the UK could revoke article 50 unilaterally allowing the country to reverse the Brexit process. The currency pair’s future performance is likely to be influenced by tomorrow’s eurozone retail sales data and the US ISM non-manufacturing/services PMI. 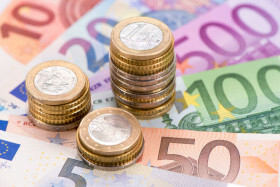 The EUR/USD currency pair was trading at 1.1371 as at 15:33 GMT having dropped from a high of 1.1419. The EUR/JPY currency pair was trading at 128.39 having fallen from a high of 129.01.